Get inside a BattleMech prove your skill. 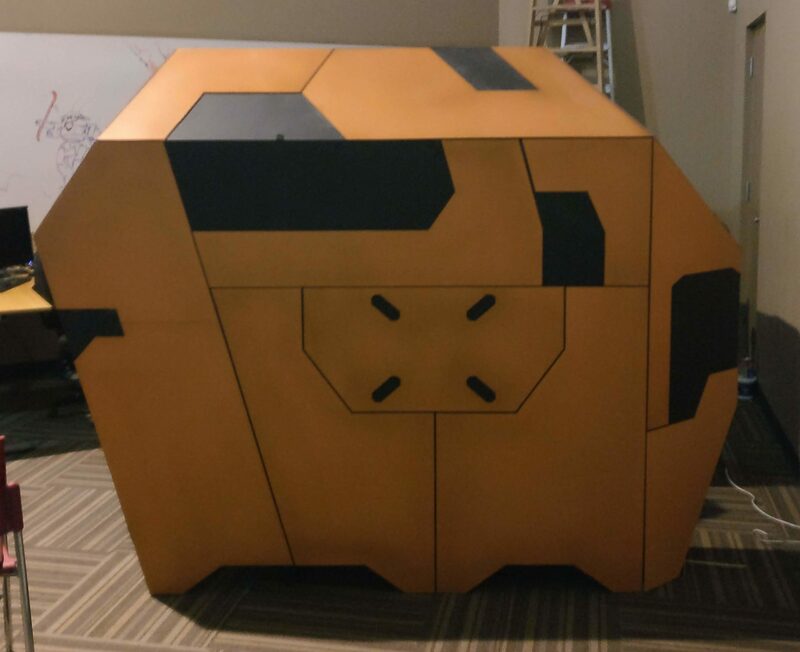 Piranha Games commissioned 4 gaming pods for player-versus-player action at Mech-Con 2018. These superpods were designed to feel just like getting behind the controls of a real battle mech. The chassis for the Superpods was built out of 1" square tube stock, cut and welded in-house. Likewise, the floor is steel treadplate for that real Mech feeling. 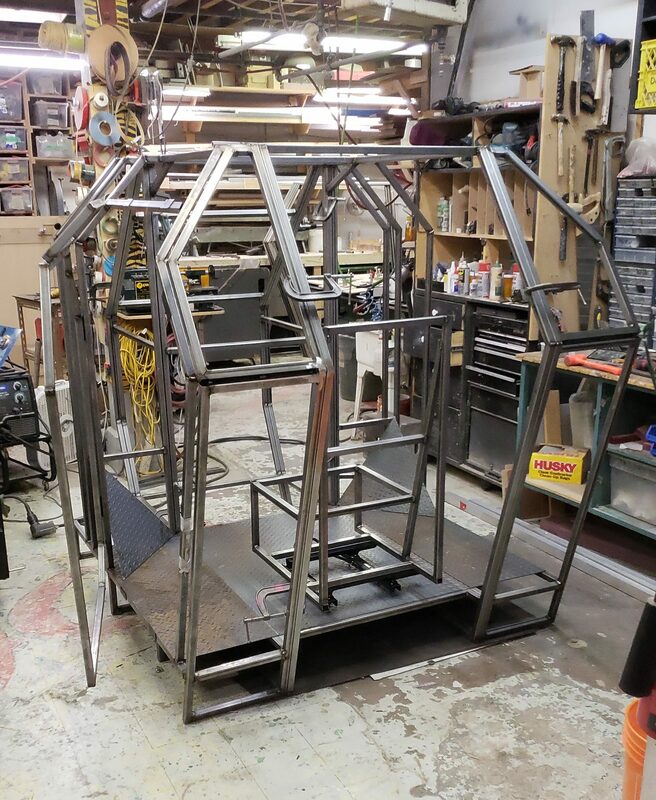 The shape of the pod was broken down into a series of 2D frames, and each one required a separate custom welding jig. The Superpods split into 3 segments which latch and lock together, each narrow enough to fit through a standard door. The focal point of any battlestation is, of course, the chair. 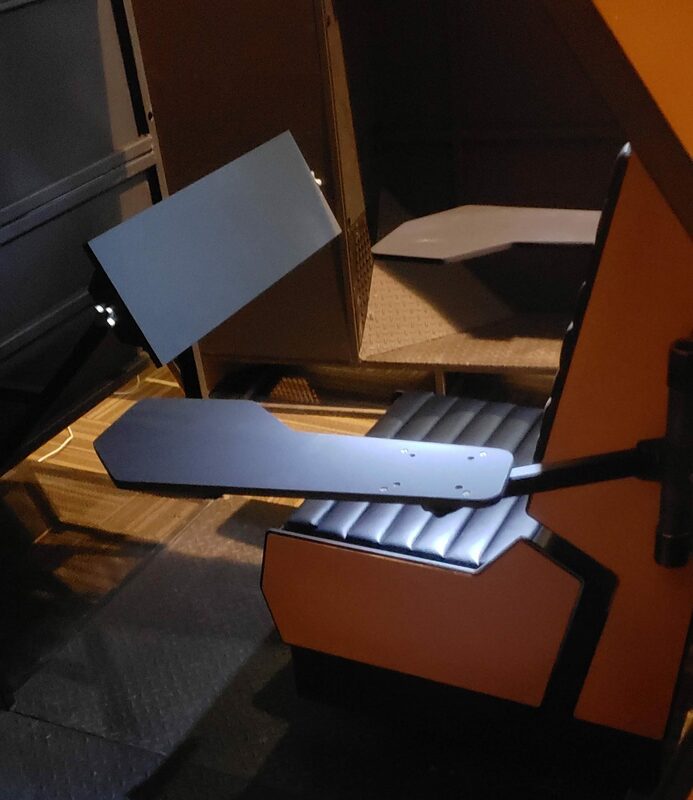 We used a combination of Jeep hardware and our own custom construction to create a seat that's not only beautiful, comfortable and ventilated, it's also fully adjustable for height and arm length. BattleMechs aren't known to be roomy: the control arms swing out to the side for entry/exit, but lock in place for gameplay. Thanks to a Buttkicker Gamer 2, supplied by Piranha Games, the sub-bass audio is amplified and rocks the seatframe. Every step and every shot brings the MechWarrior world to life. 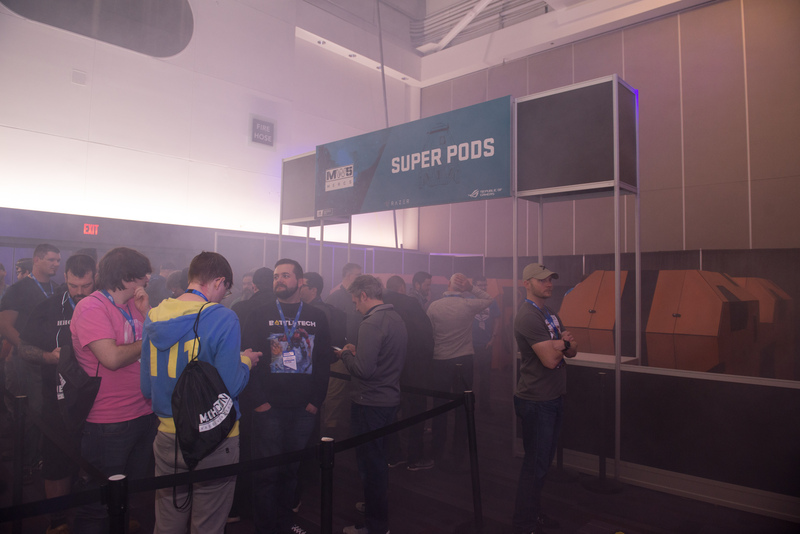 It was critical that the look and feel of the superpods stayed true to BattleTech lore. We used two layers of MDF panelling to create the faceted, industrial style of the 'Mechs. Using two layers also allowed us to hide all the joints and fasteners. Once you're inside the Superpod, it's all about the gear. Piranha Games supplied the latest and greatest, and we made it all fit together. 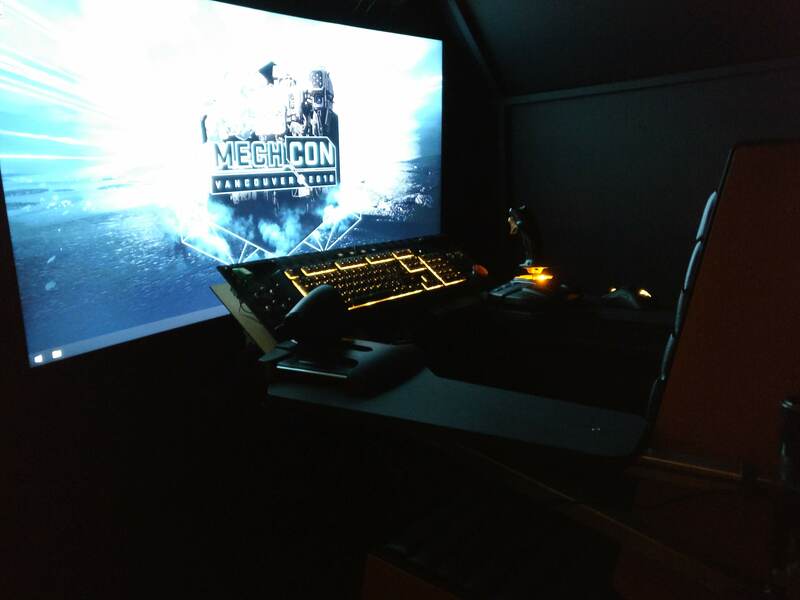 Included: a 55" curved 4K monitor, a colour-changing Razor Blackwidow Chroma 2 keyboard, joystick and thruster controllers, and a 5.1 surround sound system. Behind the scenes, the whole show is being run by a PC tower, which can be controlled via a locking access hatch. Two quiet ventilation fans pull 138 cubic feet of air per minute, meaning the whole pod gets a whopping 48 air changes per hour.